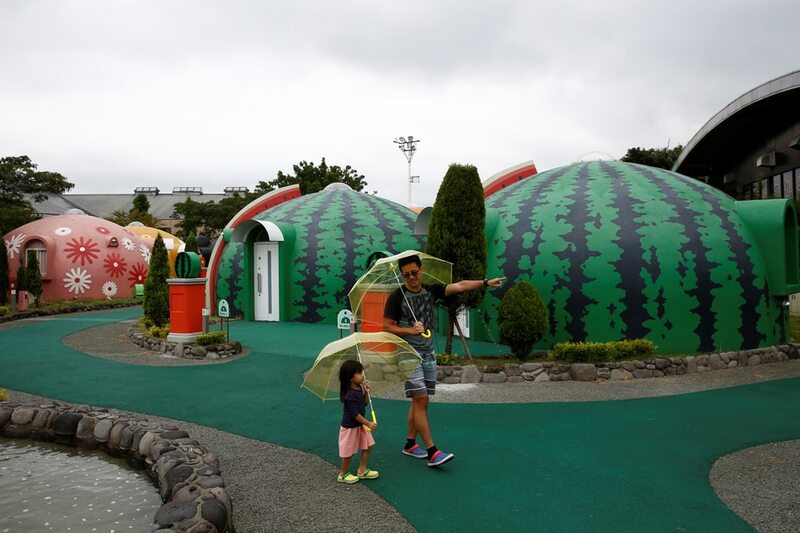 Nestled near a volcano in southern Japan, 450 quake-resistant dome houses put up by a health resort and decorated with flowers and dinosaurs are drawing visitors from across Asia. Despite the light materials, the domes withstood last year’s deadly earthquakes in Kumamoto prefecture, where Aso is located, said Masaya Konishi, manager of the Aso Farm Land resort. Wind and earthquakes do not easily damage the dome houses because they have no beams that can be broken, Konishi said. 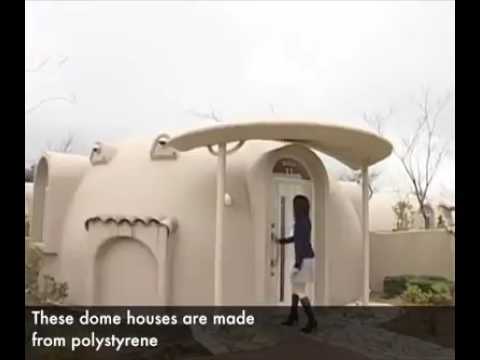 Japan Dome House, the company that makes the polystyrene pieces used in the structures, says that after the 2016 earthquakes, sales spiked two to three-fold. 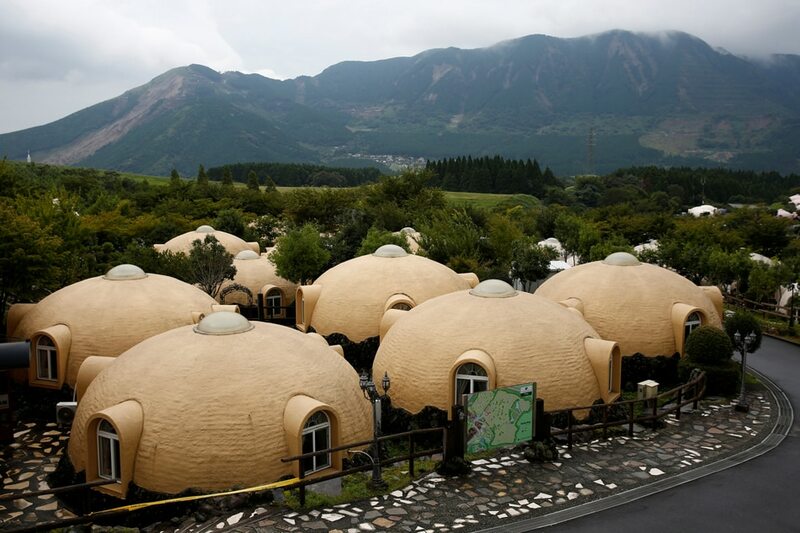 The head of Aso Farm Land resort, Katsuyuki Kitagawa, designed the dome-shaped cabins after being inspired by his work in the Japanese sweets industry, Konishi said. One day, Kitagawa thought it would be interesting to put people inside “manju” – traditional Japanese sweets that are round and filled with red bean paste – and decided to make rooms shaped like the confection. 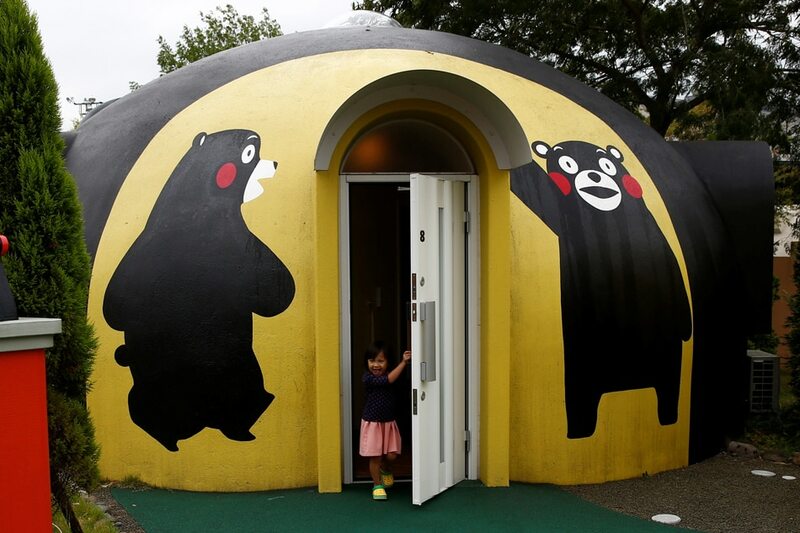 The colourful result has proven alluring for tourists looking for a quirky family holiday, especially the domes adorned inside and out with images of Japan’s popular “Kumamon” bear character, mascot of the Kumamoto region. “We were looking for something very Japan and different that would just be fun,” said Singaporean tourist Tsalina Phang, who was staying in a dome house with her two daughters and husband. “This, with all the decorations of Kumamon, just sounded perfect for us”, Phang said, as one of her daughters bounced happily on a bed in front of an image of a red-cheeked bear. This story was first published by Reuters. These prefab domes come from International Dome House Co. Ltd. and are approved by the Japanese Ministry of Land and Transport. 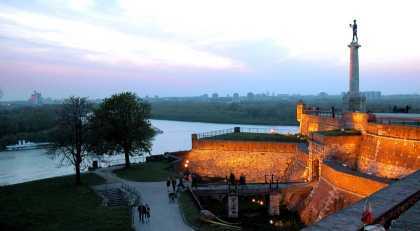 The material is “expanded polystyrene”, that is formaldehyde-free, with measures taken for excellent air circulation. The company also claims that the walls have high thermal insulating properties, meaning air-conditioning or heating could be reduced, and the polystyrene is “free from rot, rust and termites”.